A business or a practice? 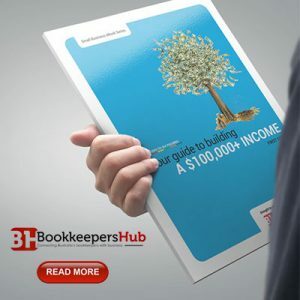 When you consider that 99% of Australia’s businesses are classed as SME’s’ with fewer than 50 employees, and that one-man-bands account for almost three-quarters of all businesses, is there any doubt about a business case for bookkeeper? There is no shortage of companies who might potentially wish to outsource their bookkeeping. 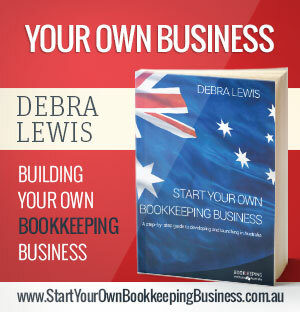 Check out the definitive guide to starting your own bookkeeping business. Becoming self-employed can be a life-changing event. Consider the case of Dianne Gilbert who went from being a part-time bookkeeper to self employed bookkeeping business owner. She did some training and “lots of reading” to get herself prepared for going into her own bookkeeping business. The rewards can be manifold both in terms of personal satisfaction, control over working hours and revenue. Debra Lewis, CEO Bookkeeping Institute of Australia. There is a lot to consider before taking the leap into business. It’s not just a numbers game (i.e. how much revenue can you generate) but also about personality. If you don’t like selling yourself, then forget going into business. You need to be confident and well prepared that’s why we are proud to offer the guide starting Your Own Bookkeeping Business. The book is a step-by step guide as well as text book used by the BIA in their training programs.